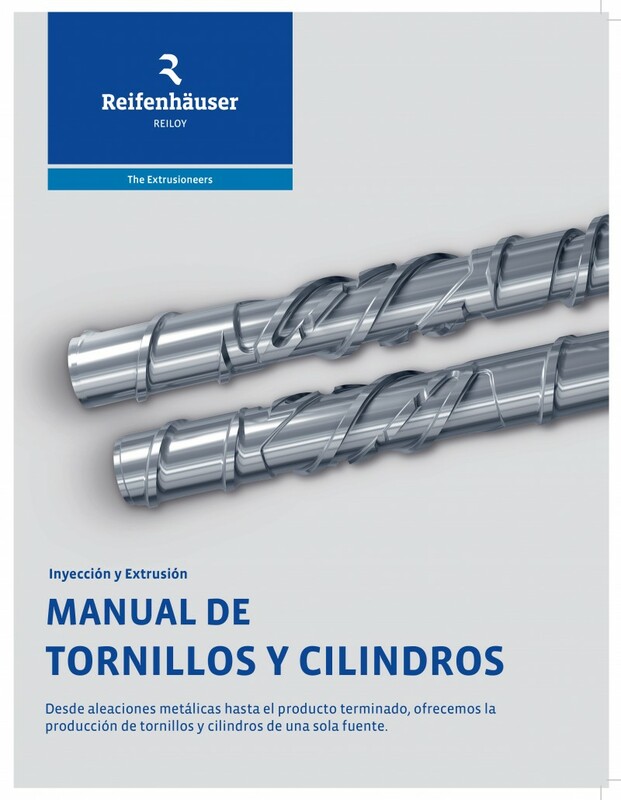 The 11th Edition of the Reiloy USA Screw & Barrel Handbook is now available in Spanish. Plastic processors seeking to better understand their processes and ways to improve them will definitely benefit from this handbook. This 11th edition provides valuable information on screw design, material guidelines for screws and barrels, valves, resins, proper maintenance, component wear and component repair for both injection and extrusion. 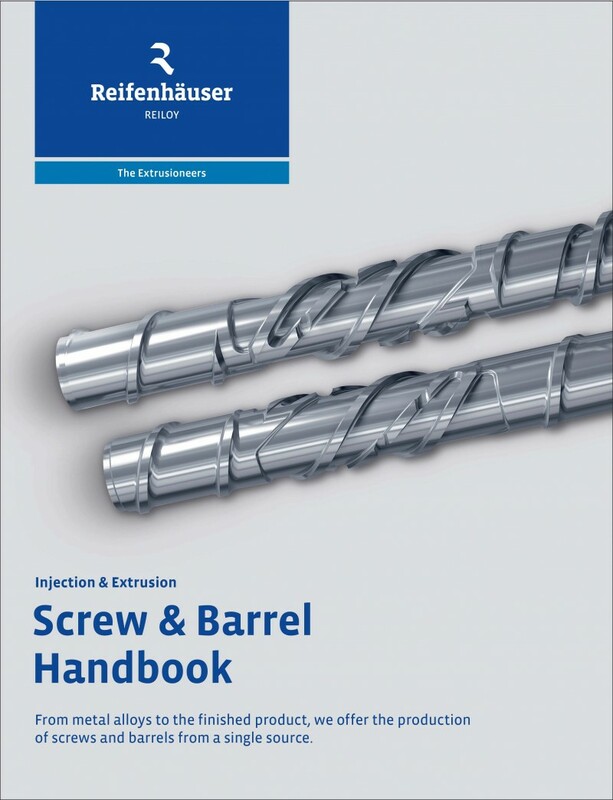 New with this edition is a Self-Examination to test readers knowledge of screw and barrel technology. To request your free copy, send Reiloy USA an email by clicking this link. Be sure to include your mailing address and note if you want the Spanish edition. 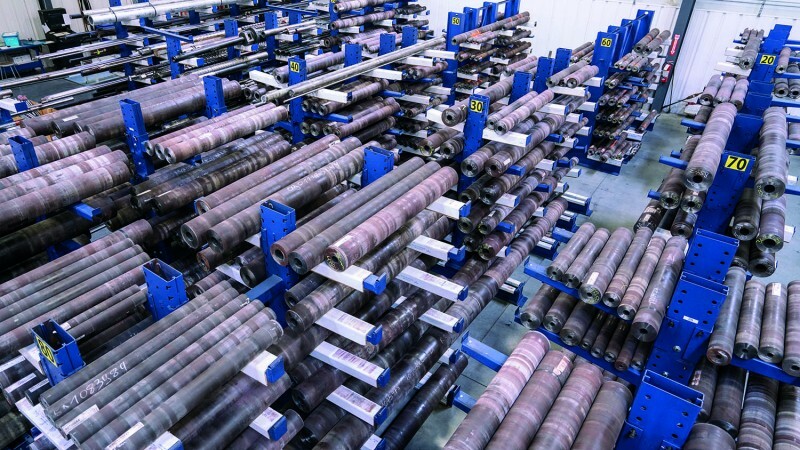 Reiloy manufactures bimetallic barrels from Reiloy centrifugally cast barrel blanks. Reiloy, a division of Reifenhauser Group, has long been an acknowledged leader in the bimetallic barrel industry. Currently, Reiloy USA stocks nearly a thousand barrel blanks at our Maize, Kansas location. This inventory means quick delivery on barrels manufactured from our in-stock blanks. Call us today to find out more. 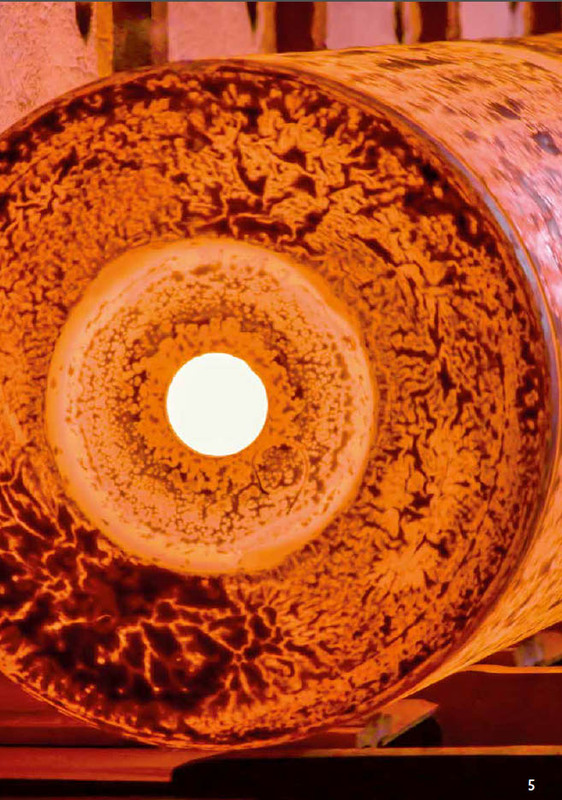 Due to their proven production process, Reiloy barrel blanks are absolutely free from distortion, eliminating the need for time-consuming, labor intensive straightening operations and stress-relief annealing. All the armouring alloys used in these barrel blanks are developed in Reiloy’s own material laboratory and are continually tested under tough operating conditions. Call Reiloy USA today at 800-247-1144 to learn more about these remarkable barrels. The barrel blanks produced from these outstanding alloys are highly wear resistant and can be used in your toughest applications. Reiloy USA Corporation has named Joe Piccini as President and George Radcliff as Vice President of Sales & Marketing. Joe and George join the experienced senior management team of Reiloy which includes: Wayne Hook, Vice President Operations and Kevin Mayer CPA, Vice President Finance. Piccini succeeds Dave Larson, who retired from Reiloy USA in October of 2018. Radcliff brings more than 19 years’ experience in the plastics industry, most recently serving as Regional Sales Manager for Cloeren Incorporated where he was responsible for equipment sales, technical support and project management in North and Latin America. The 11th Edition of the Reiloy USA Screw & Barrel Handbook is now available to plastic processors seeking to better understand their processes and ways to improve them. This updated version provides valuable information on screw design, material guidelines for screws and barrels, valves, resins, proper maintenance, component wear and component repair for both injection and extrusion. New with this edition is a Self-Examination to test readers knowledge of screw and barrel technology. 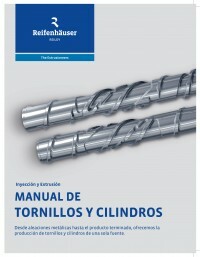 Plus, the 11th edition is also available in Spanish. To request your free copy, send Reiloy USA an email by clicking this link. Be sure to include your mailing address. How Do Barrier Screws Differ From Mixing Screws? Mixing screws are designed to improve melt homogenization, including color dispersion. Barrier screws are designed to control the melting process. The Reiloy USA Eagle Barrier screw combines the advantages of our patented Eagle mixer with the melting efficiency of the Reiloy USA Barrier screw design. This combination equals a complete isothermal and homogenous melt quality. The design of the barrier portion of the screw and the mixer itself is dependent upon the type of material being processed and whether the application is injection molding, blow molding or extrusion. The patented Eagle is a low shear mixing screw that provides outstanding color mixing and melt quality without increasing melt temperature, burning or degradation while running at very high RPM. The Eagle Mixing Screw has been proven to reduce part reject rates, improve production rates and reduce the amount of color concentrate required. This remarkable mixer has successfully processed commodity resins as well as engineering grade resins. The Reiloy USA barrier features a solids channel approximately twice the width of the melt channel, separated by barrier flights. This unique design provides efficient and controlled melting of the resin, especially the “hard-to-melt” crystalline materials. To learn more about Reiloy USA’s patented Eagle Mixer or Eagle Barrier Screws, click this link or call 800-247-1144 to speak with one of our sales engineers. Precisely Engineered Screws and Barrels, Perfectly Built. The right screw and barrel combination can make the difference between mediocre performance and high-profit productivity. Improve cycle times for specialized applications. Optimize performance in machines that need to run multiple plastic resins. Reiloy USA’s patented designs and commitment to excellence can help your company produce better products, more cost-effective processes and higher profits. From custom designed injection molding screws to screws built for both extrusion and blow-molding processes, Reiloy USA’s plastics processing screws have been helping our customers exceed expectations. You need a screw and barrel manufacturer with the engineering expertise to find precisely the right set-up for your process. At Reiloy USA, we work with you to evaluate your processing needs in order to recommend the best screw, barrel, or other component design for your particular application.